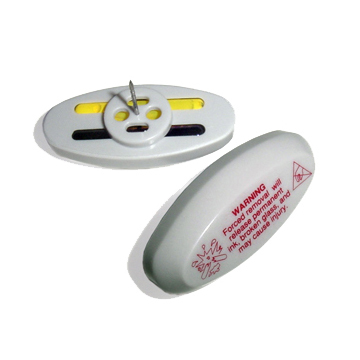 SenTech manufactures a complete line of Acousto-Magnetic (AM) systems that are compatible with all industry standard security tags, labels, and label deactivators. Our technologies utilize the latest in digital signal processing to assure high detection rate and virtually trouble free operation. Our advanced AM systems offer remote diagnostics, remote tuning, people counting, and automatic analytic reporting via a network connection via email or FTP. Many report formats are available including HTML, XML, CSV, and custom formats. SenTech manufactures a complete line of Radio Frequency (RF) systems that are compatible with all industry standard security tags, labels, and label deactivators. Our technologies include both swept and pulsed RF systems that utilize the latest in digital signal processing to assure high detection rate and virtually trouble free operation. Our advanced RF systems offer remote diagnostics, remote tuning, people counting, and automatic analytic reporting via a network connection via email or FTP. Many report formats are available including HTML, XML, CSV, and custom formats. SenTech Acousto-Magnetic (AM) tags are manufactured using quality materials to provide the highest level of performance and long lasting durability. All of our Acousto-Magnetic tags are compatible with AM systems from SenTech and other EAS system manufacturers. Sensormatic's 58 KHz Ultra•Max® Ultra•Strip® adhesive EAS DR Labels are deactivatable offered in plain white, barcode, black. They may be used with any Acousto-Magnetic system and deactivators. SenTech Radio Frequency ((RF) tags are manufactured using quality materials to provide the highest level of performance and long lasting durability. 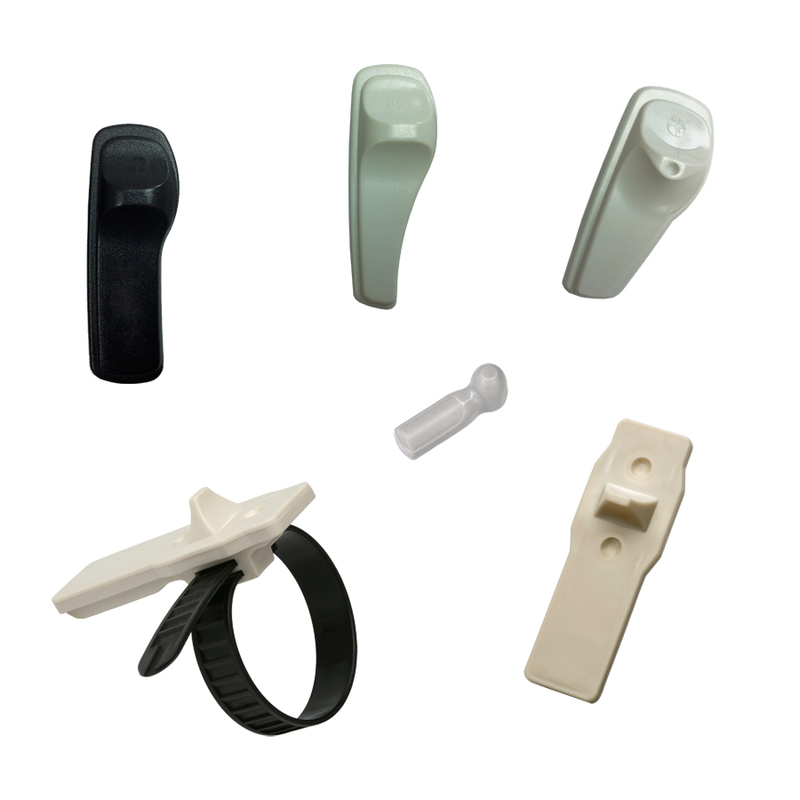 All of our Radio Frequency tags are compatible with RF systems from SenTech and other EAS system manufacturers. SenTech Ink tags are manufactured using quality materials to provide the highest level of performance and long lasting durability. 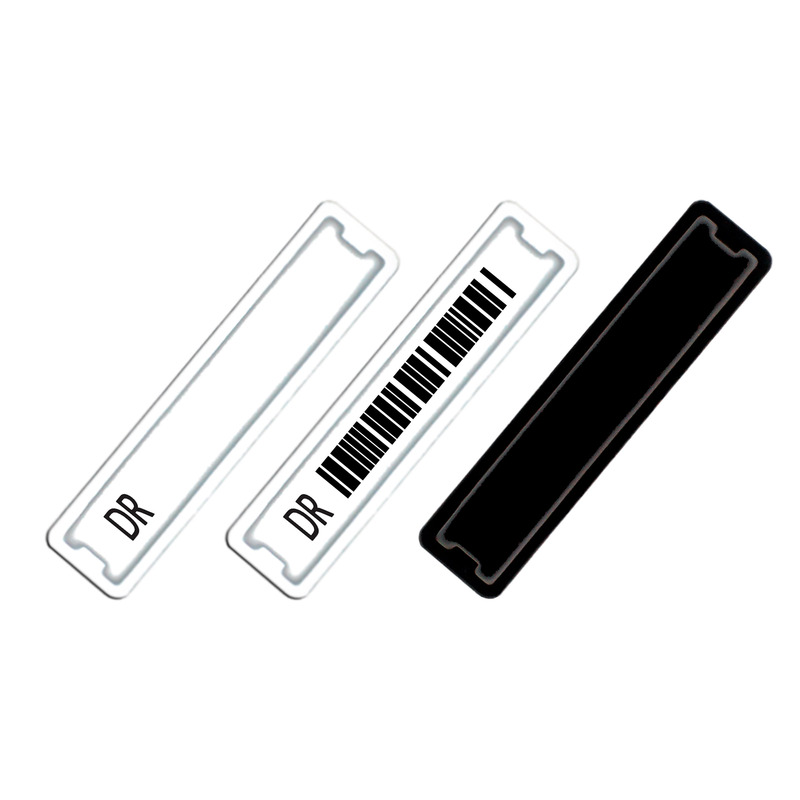 All of our Ink tags are compatible with either AM or RF systems and detachers from SenTech and other EAS manufacturers. SenTech Clutch locks are manufactured using quality materials to provide the highest level of performance and long lasting durability. All of our clutch locks are compatible with either AM or RF systems and detachers from SenTech and other EAS manufacturers. 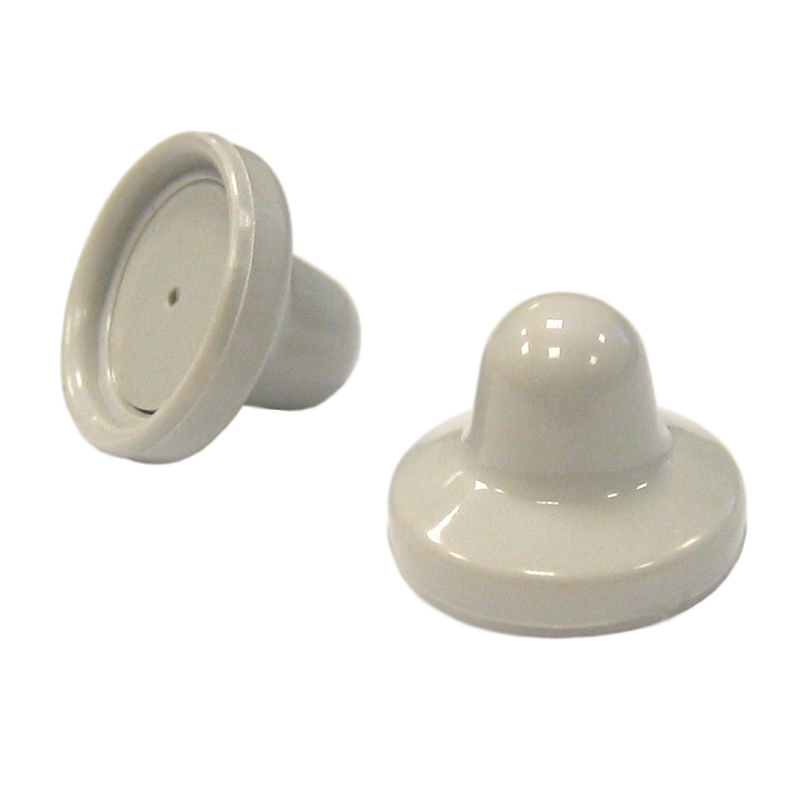 SenTech offers a large selection of security tacks or pins that are compatible with any standard EAS tags. We use high quality plastics, and hardened stainless or nickel plated steel. 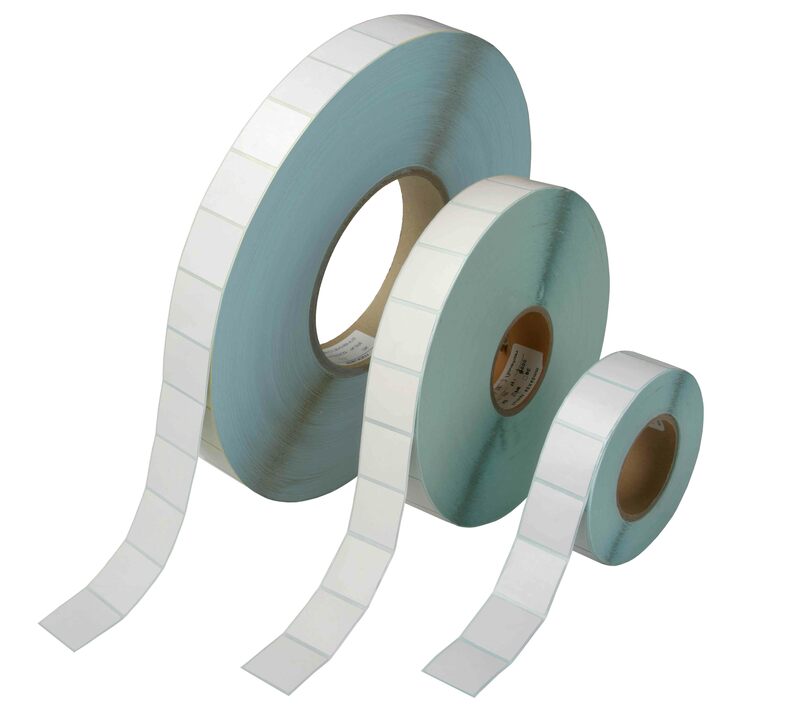 SenTech offers deactivatable and non-deactivatable Radio Frequency (RF) and Acousto-Magnetic (AM) labels. RF labels are available in both 8.2 and 9.5 MHz. AM labels are available in 58 KHz frequency. We stock all standard RF labels used for hand and automated source tagging applications in plain white and faux barcode. Special order options for RF labels include custom printing, custom size formats and custom frequencies. SenTech has a variety of high security lanyards, in both fixed and adjustable lengths that are made from PVC coated galvanized steel, or Polycarbonate. These Lanyards are used to attach any plastic hard tags to items that have handles or are irregular shapes such as luggage, handbags, sporting goods, etc. 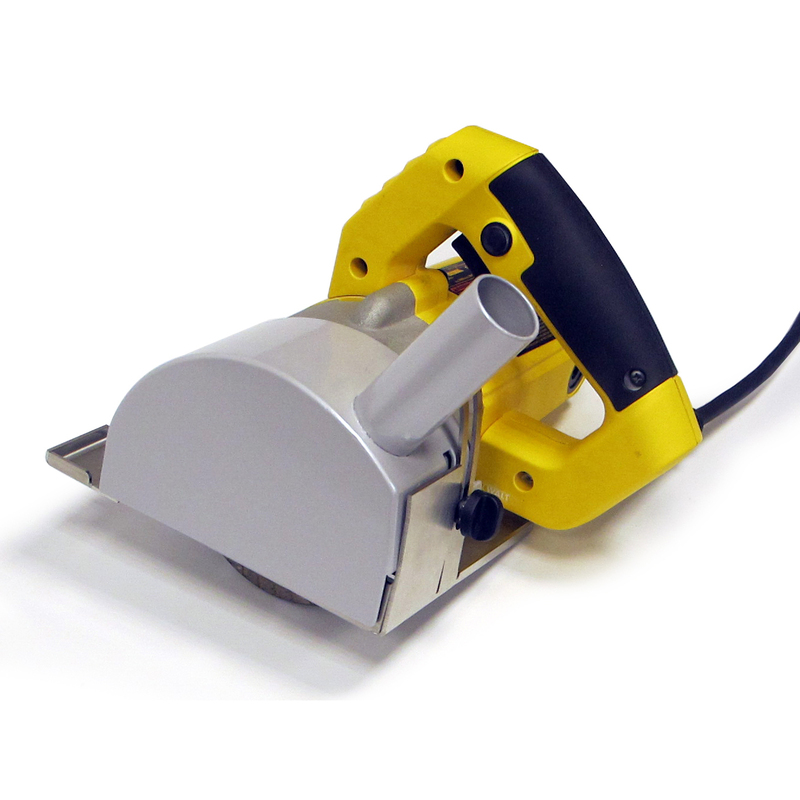 SenTech manufactures new tag detachers used to remove most EAS tags with magnetic and mechanical release. 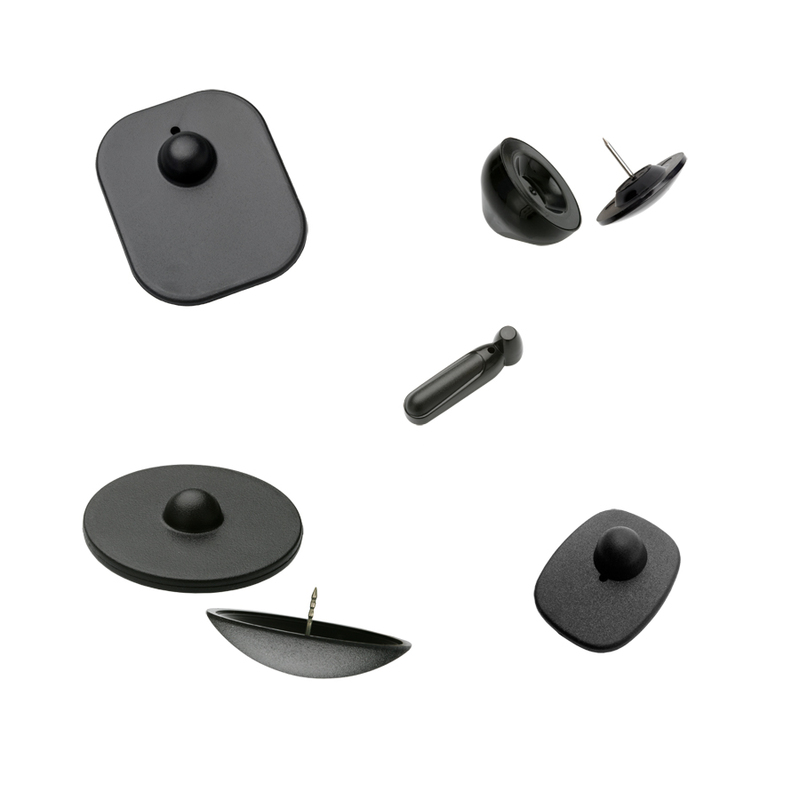 Our detachers are available in many styles including table top, surface mount, flush mount, and hand detachers. Standard and super strength magnetic are available. 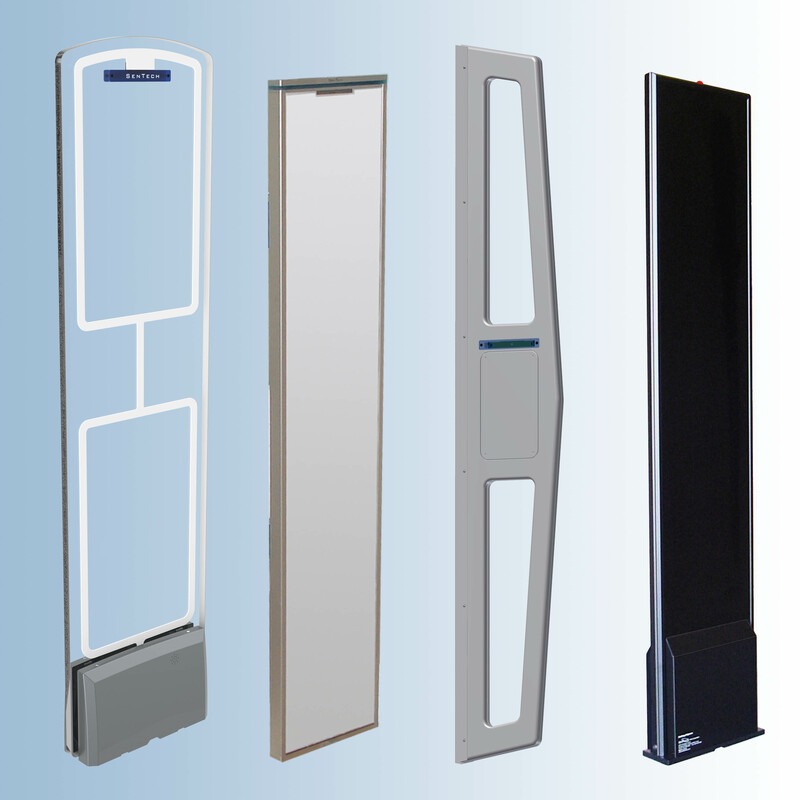 SenTech manufactures both AM & RF label deactivators. All of our deactivators are fully compatible with all AM & RF deactivatable labels from any manufacturer. 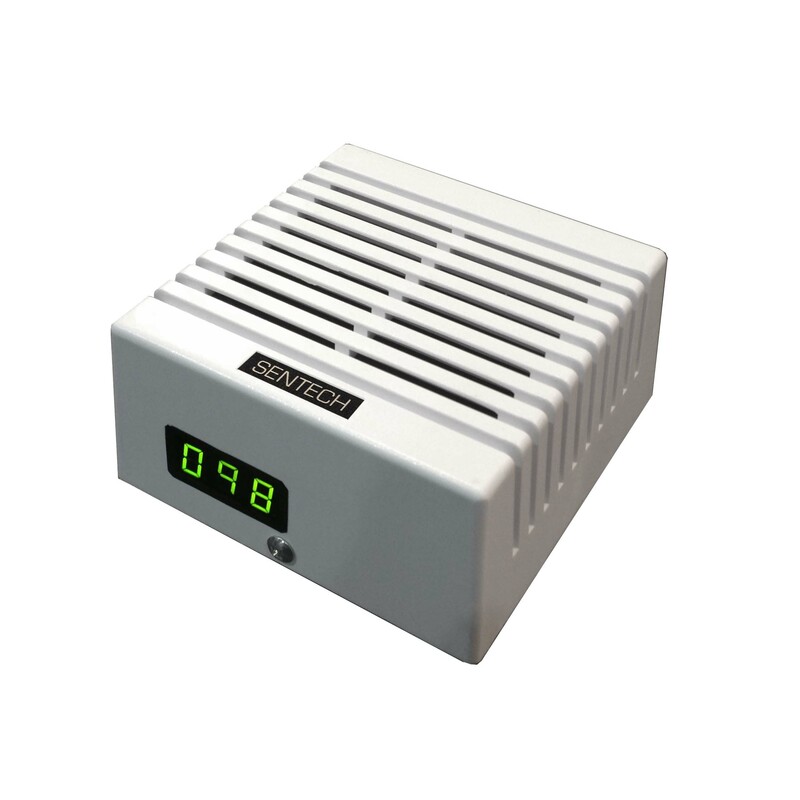 SenTech’s digitally synthesized alarm with counter provides both multilingual voice messages and tone alarms. Compatible with most EAS systems. Operates on 12-24 VAC or VDC power from system or supplied power adapter. 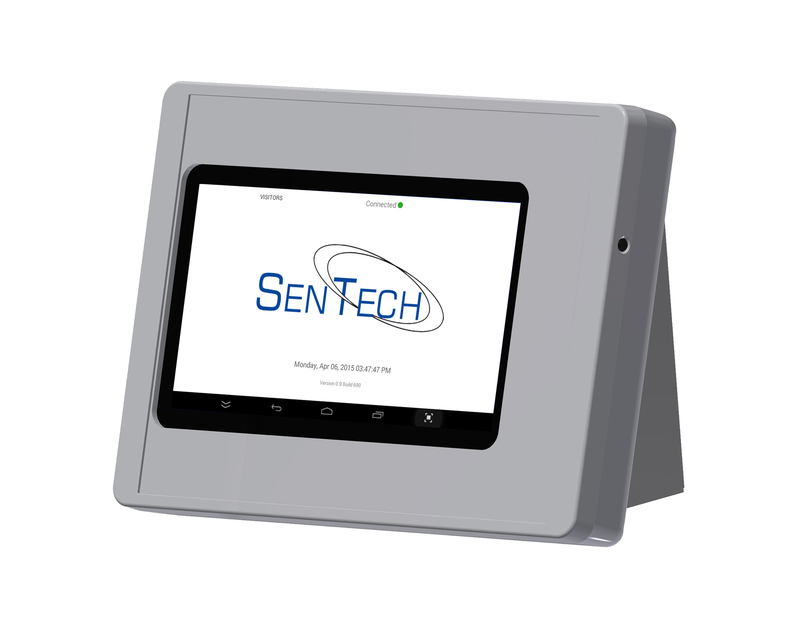 The NEXUS touch screen system event monitor interfaces with SenTech G2 EAS systems. When an alarm occurs, the Nexus captures the alarm and reports the reason for the alarm remotely to a SenTech server. 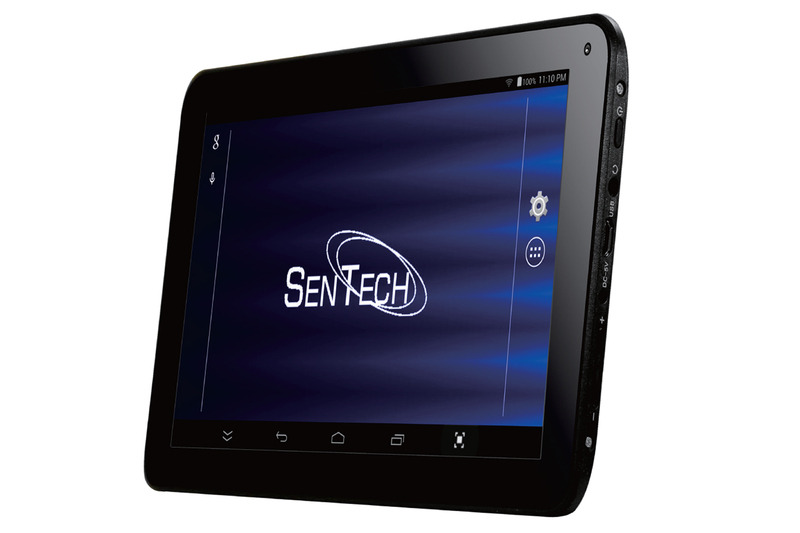 SenTech 7" Android Tablet, 1024*600, A33 Quad Core 1.3Ghz, 1GB RAM/8GB memory, 0.3 MP Camera, 2800mAh Lithium battery, 90° USB to DC cable, 90° OTG cable, US standard Power adapter. Special features include WiFi, USB ethernet with static IP, auto power up when on AC power. 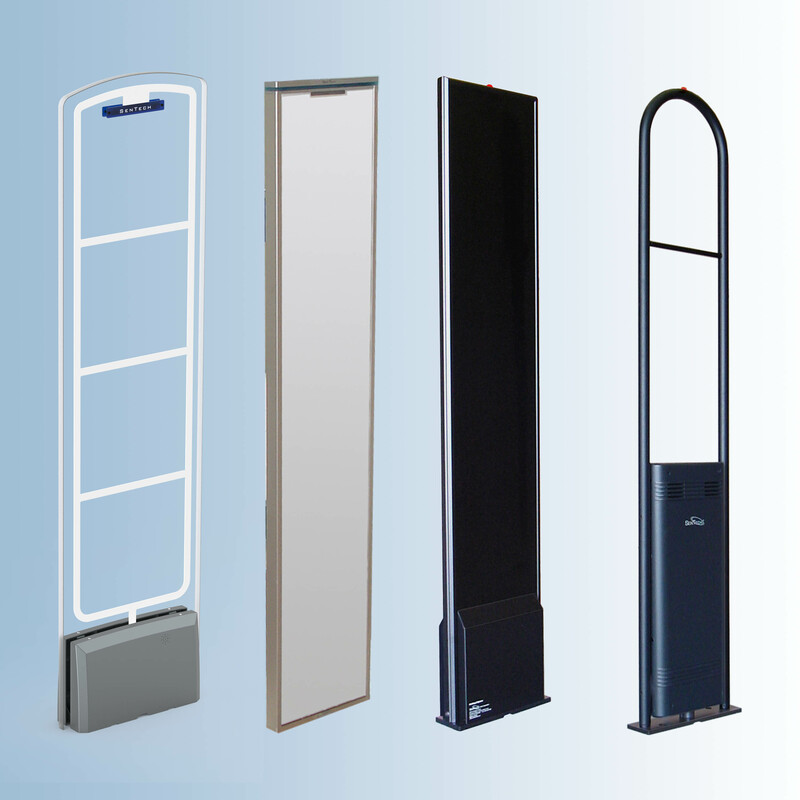 Specially suited for use in kiosk operation. Kiosk wall mount available. 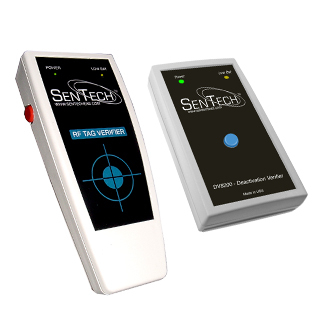 SenTech's manufactures both RF tag / label verifiers and Deactivation verifiers. We offer refurbished Alpha S3 Keepers®, Spider Wraps®, Bottle Caps, Crystal Guard®, Easy Guard™, CableLok®, S3 Key Detahcers. 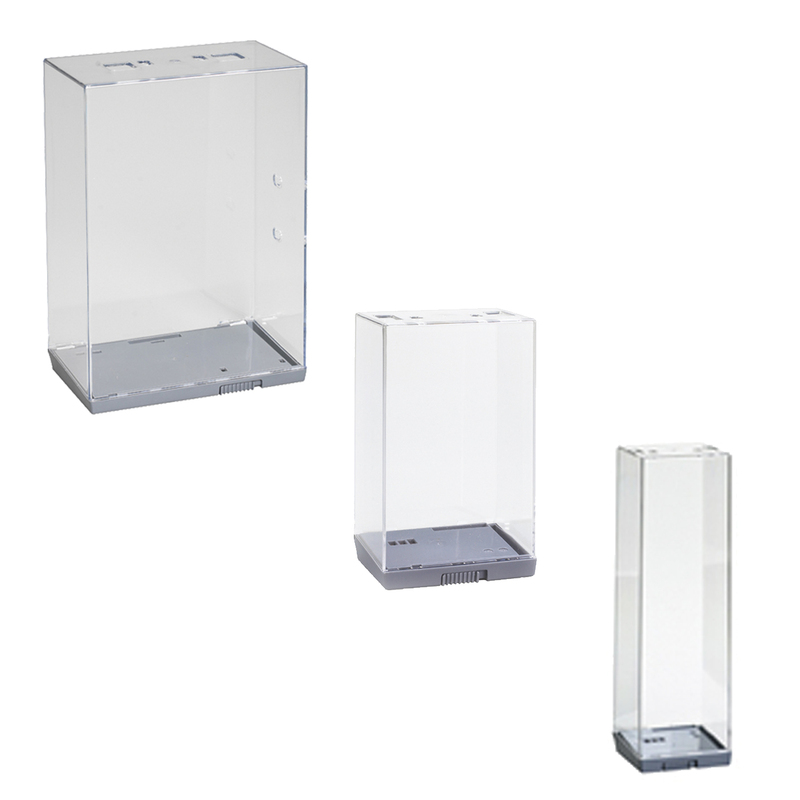 These products offer maximum versatility and security to display a wide variety of merchandise openly and still control your losses. Many types available - One, two and three Alarm in Acousto-Magnetic (AM) and Radio Frequency (RF). 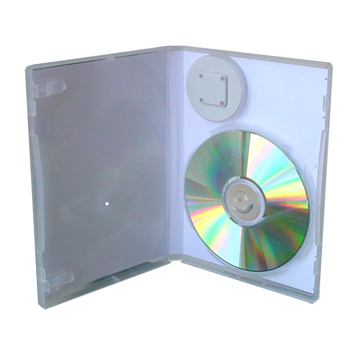 SenTech's patented DVD security cases are highly effective against shoplifting. They lock the DVD disk through the center hole preventing unauthorized removal of the disk. All cases are pre-tagged with a high sensitivity tag that is encased in a protective housing and include the locking pin. We stock the following standard frequencies: 8.2 MHz, 9.5 MHz, 58 Khz, and Magnetic. Dewalt DWC860W tile saw with SenTech’s V-Shroud vacuum attachment. When connected to a shop vacuum the shroud prevents dust while cutting floors. No saw modifications are required. Stainless steel base and powder coated steel vacuum housing. Kit includes all hardware. Saw comes fully assembled, includes two Dewalt DW4700 blades. One Year warranty on SenTech V-Shroud attachment only. DWC860W saw warranty from Dewalt.